February is African American History Month, an opportunity to pause in our busy schedules to show gratitude for the contributions our ancestors made, through their courage, sacrifice, leadership, and hard work, that advanced the liberties and freedoms we enjoy today. Over the course of this month, we can educate a wider audience about those contributions. African American History Month not only helps African Americans understand their own heritage but gives all Americans a better understanding of the role of African Americans in our nation’s rich and diverse history. One of the best ways to gain a true appreciation of the African American experience is by visiting an African American historic site, monument, battlefield, museum, or burial ground. 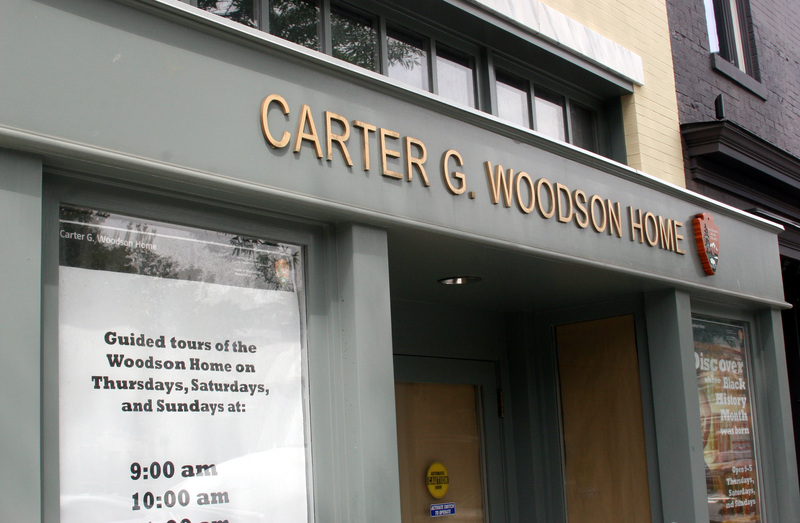 As an expert member of the Advisory Council on Historic Preservation, I had the opportunity recently to take a group of young African American architecture students from Morgan State University in Baltimore to several historic sites in Washington, D.C. -- the Frederick Douglass National Historic Site, the Carter G. Woodson Home National Historic Site, and the Mary McLeod Bethune Council House National Historic Site. These students felt a great deal of pride to know that these giants of the African American community actually walked on those grounds or lived in those buildings. It is through authentic, hands-on experiences such as these that young people are able to savor that which has come before them and are encouraged to make the best of their talents in whatever field of endeavor they have chosen. Historic places help us to understand the full scope of the human experience and to learn so that citizens may avoid repeating the grievous mistakes of the past. These sites tell the story of our shared human history, our struggles, and achievements as a people and as a nation. Historic sites, such as the Frederick Douglass home and the Harriet Tubman Underground Railroad National Historical Park, give us hope that we can move beyond our difficulties and help us remember those who fought for the civil rights and the equality we enjoy today. We have the responsibility to preserve and interpret those areas that speak to the contributions African Americans have made to the growth of the nation. The true value of preserving historic places is they transform the past into the present and present into the future – giving context to ideas and anchorage to experience. History is the foundation of the future. In these historic sites, America has chosen to take a stand for the values that past generations have taught us. We are determined that lives past shall not be lives lost. There is no substitute for experiencing the places where African American history took place. There are many areas that are preserved, not only at the national level but also at the state and local level, such as museums, historic sites, monuments, statues, churches, battlefields, and cemeteries. We encourage you to seek out these places during February and all year long. These sites celebrate the struggle for freedom and triumph over adversity that we all share as citizens of the United States.